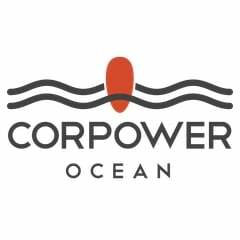 Corpower are looking for an ambitious person with relevant mechanical experience to join our Mech team! Do you want to take a key role in the development of wave energy? You have a minimum of 5 years of relevant experience from designing mechanical systems and industrial equipment. Having worked with harsh environments such as offshore, mining or other challenging sectors is a plus as is having experience with machined, turned and welded structures. You have a broad technical knowledge and genuine interest in the different aspects of machinery and mechanical design. Knowledge of gear box technology, pneumatics, hydraulics, structural optimization, pressure vessel, composite or electricity generation equipment is qualifying. You have experience of leading teams and product development. You also have experience from successfully driving projects through planning, designing, manufacturing and deploying industrial equipment. You may have a B.Sc or a M.Sc. degree in mechanical engineering or related disciplines, but your personality, experience and interest in the field is the most important. You are proficient in English, both spoken and written. You have a minimum of 5 years of relevant experience from designing mechanical systems and industrial equipment.